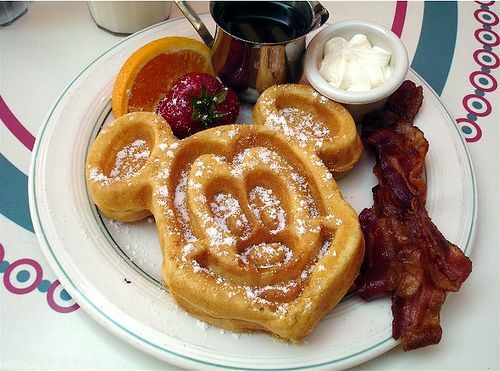 Everyone loves the Mickey Mouse Waffles. Who can blame them they are so light, fluffy and delicious. Now you don’t have to wait for your Disney Vacation to sample these delectable delights. After doing some research they are super easy to make and could be apart of your weekend family breakfast routine. 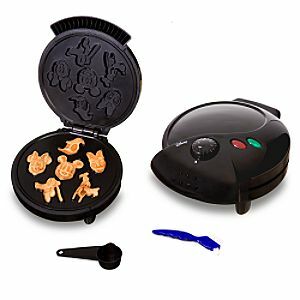 You won’t even miss those trips to Chef Mickey’s for breakfast..Ok that last remark was a stretch but still they simple to make with the right equipment. 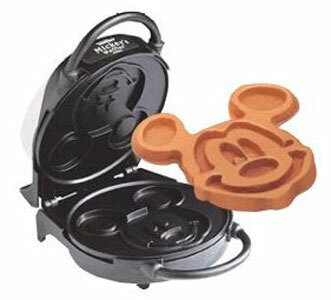 The most popular Waffle Maker has to be the VillaWare V5555-01 6-Inch Mickey Wafflemaker. Unfortunately it is very hard to find. I saw a couple on ebay and that was about it. Another alternative and probably more popular with your kids would be the Mickey Mouse Tasty Baker. The waffles are smaller but your choices of characters are better. You can make all your Playhouse Disney Characters at once. Also it’s on the Disney Store so you can always catch free shipping or some other kinda special they are running! Let us know if you try this out at home, we would love to see any pictures you may have on Facebook. Hey, Emeril. Nice post. You know, I've been looking for one of those wafflemakers. I heard that they had some problems with the nonstick coating and stopped selling them. Wish they would again.